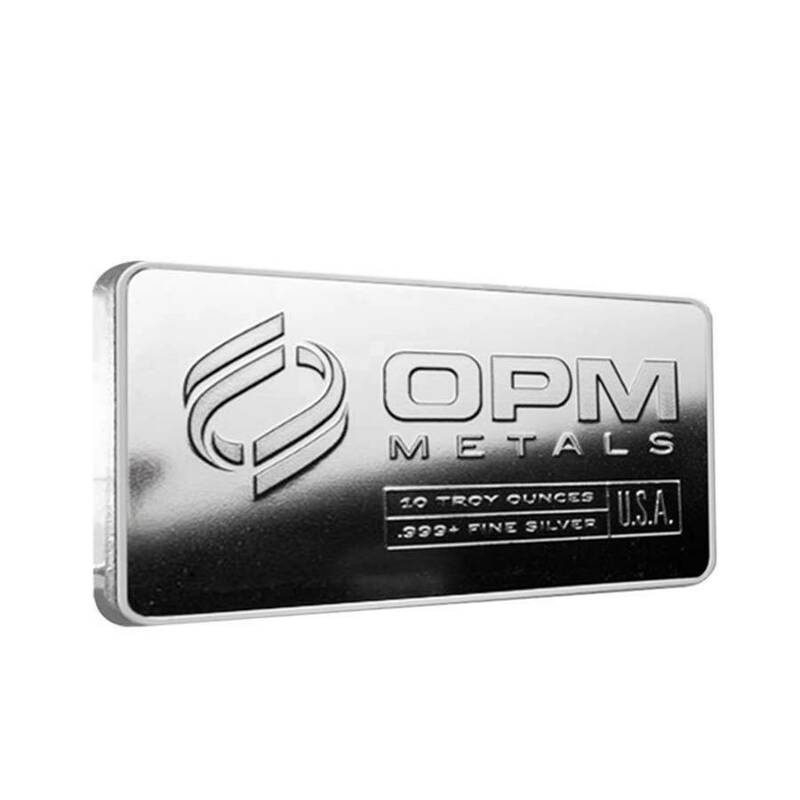 Bullion Exchanges is pleased to carry the 10 oz Ohio Precious Metals Silver Bar. Each of these beloved bars is composed 10 troy ounces of .999 fine silver, and is eligible for use in Precious Metals IRA accounts as Ohio Precious Metals is ISO9001 certified. 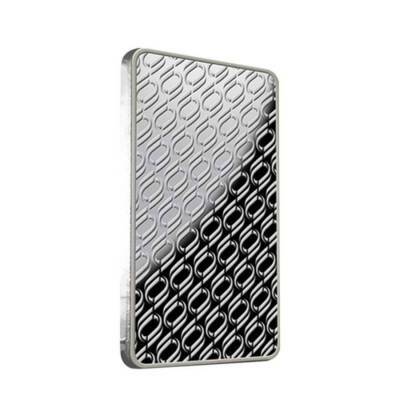 Silver bars are a great investment as they allow both collectors and investors alike the opportunity to add a substantial amount of silver to their bullion collection with just one purchase. 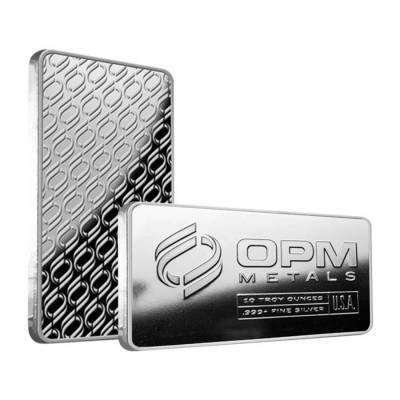 The exquisite 10 oz Ohio Precious Metals Silver Bar is brand new, and sealed by the manufacturer. Ohio Precious Metals was established in 1974, and has developed into one of the largest state-of-the art refineries in America. Trailblazers in advanced refining processes, Ohio Precious Metals distinguishes themselves from the competition through superb gold and silver bullion refining practices. The 10 oz Ohio Precious Metals Silver Bar is marked with the OPM logo, the obverse additionally features the bars metal weight and purity alongside the letters “U.S.A”. The reverse side features the Ohio Precious Metals logo repeated in a diagonal arrangement. See all of our Silver Bars. As with all of products, Bullion Exchanges guarantees this bar to be 100% authentic. Perfect transaction, rest assured Bullion Exchanges always carries the highest quality products at prices your cannot beat! Orders ship quickly and the communication is consistent! For every $1 spend, you will earn 1 Bullionaire Buck which is equivalent to $0.001 off a future purchase. 162 BB = $0.16.